adidas Originals brings a classic material makeup to two contemporary EQT models for Fall/Winter 2017 in a release that blends modern design with pure 90s construction. Comprising the progressive adidas EQT Support ADV and adidas EQT Support Ultra Boost silhouettes, the latest adidas EQT release reimagines the contemporary runners in the OG materials of the EQT range; the EQT Support ADV receives a knitted mesh upper with suede overlay panels and a welded nubuck toebox, structured with molded TPU support panels, while the EQT Support Ultra assumes a classic mesh/suede treatment with TPU support panel and heel cage. 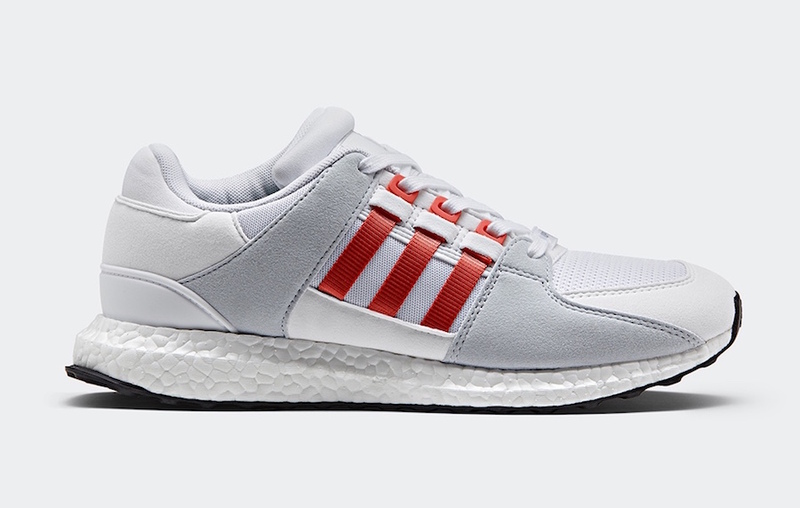 Both silhouettes in the comes dressed in a Clean White, Bold Orange and Clear Grey color scheme that will release on June 9th at select adidas Originals retailers and adidas.com.